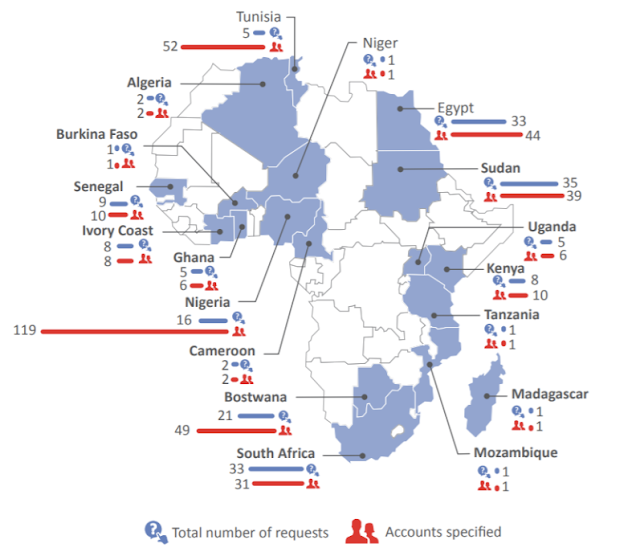 The chart below shows the number of requests for user information Facebook has received from governments across Africa between 2013 and 2016. As long as you are online, nothing is actually safe most especially to those of you that love to use hate speech everywhere and to think that Facebook is actually safe, then you are one leg backward. Look at the big, long shameless line that represent Nigeria. Why will the government request for individuals data from Facebook?